Red Dead Redemption 2 is a lot of things. At once a tragicomic critique of America and what people have done to themselves and others to achieve their goals, as well as its constant pace of change. It's also a hunting game, a first- or third-person shooter, and a dramatic literary piece. Any category you think of while you play through it, the game will make itself at home. But to get down to brass tacks, this is a prequel to a cornerstone of video game history, the original Red Dead Redemption, which released way back in 2010. I recall that a couple lines I and a friend wrote in each other’s eighth grade yearbook was that game’s tagline: “Outlaws to the End.” Of course we were just rascally middle schoolers, but that game made its mark on us, even at our young age. 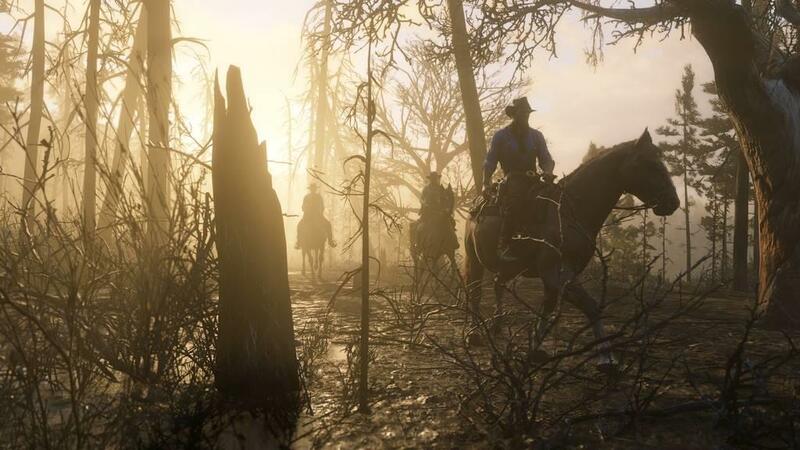 Red Dead Redemption 2 is as much a prequel as it is an evolution of that former title. 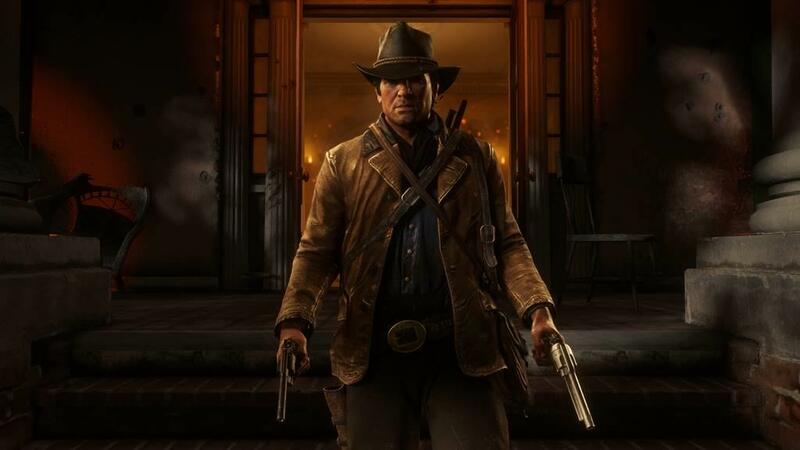 The main character here, rather than John Marston, is Arthur Morgan. 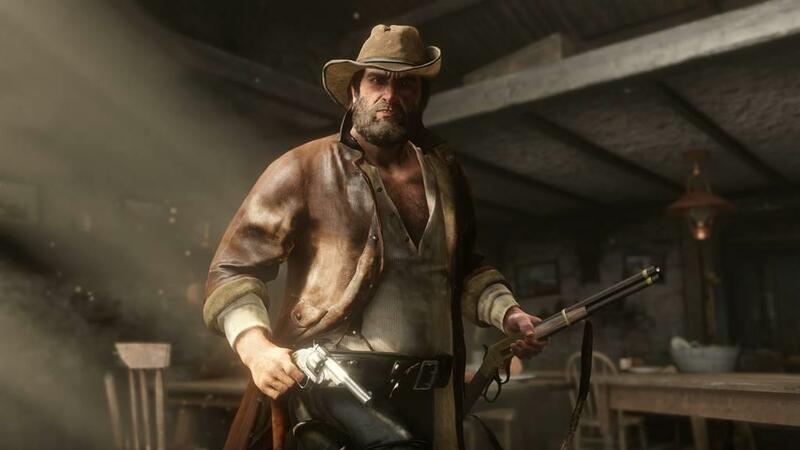 A gruff, southern-sounding mountain man, he is the most trusted of outlaw leader Dutch van der Linde’s group of ne’er-do-wells, a family, more or less, of ruffians, con men, and women who are tougher than steel. The gang is on the run. Everyone has done bad things; some dwell on it, some don’t. The main issue at stake, for everyone, is how to survive. 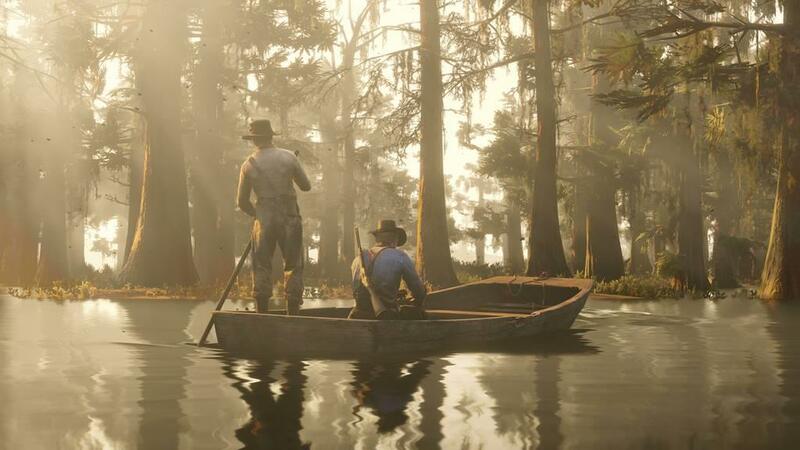 That’s how the game goes for much of the plot: the gang tries to make a home for itself across different parts of the game map, which include regions inspired by the Rockies of Colorado, the Great Plains, New Orleans, and the Louisiana Bayou. The world is just as cold, unforgiving, and tragically beautiful as the outlaws who inhabit it. Before I go on about the intricate details, if you've seen the trailers for this game, you already know how amazing it looks. But once you jump in for real, it's unlike anything you've ever seen. 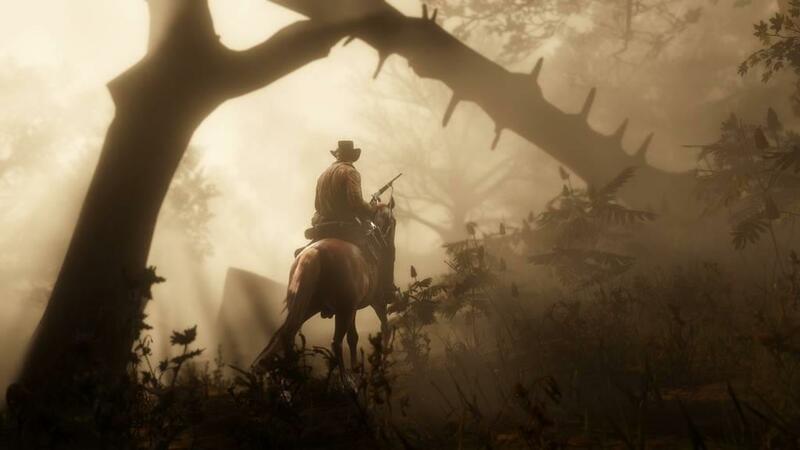 This is the first time a Rockstar game has been designed from the ground up for modern consoles, and it shows itself well. While there are a few technical hiccups, everything is pretty smooth. 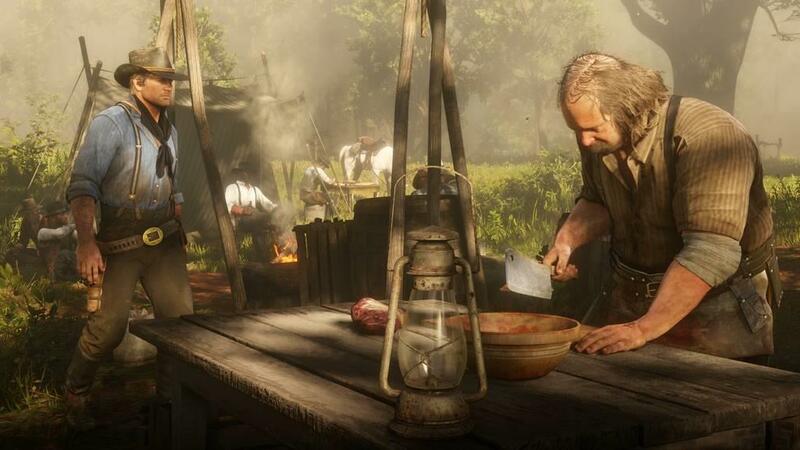 For much of the game, Arthur is a passive character, doing chores for the gang because that is his job. Not giving much of a second thought to anyone, he simply does as he’s told. The real character-driven part of the story (which still has quite a lot of plot to it) does not kick in until sometime later in the game, but the writing makes up for that with a picaresque narrative full of naturalistic people and dialogue. These are some notable members of Arthur’s family. There’s Charles, a black Indian whose representation is critical but whose character and drive is relegated to his heritage, and while there’s certainly nothing wrong with that, it does an insult to him that the only thing that defines Charles, for the most part, is his status as an oppressed minority. Rounding that out is Sadie Adler, perhaps my favorite character in the game. A widow taken in by the gang, Sadie is fierce, tough, and burning with hatred for those who have wronged her. She knows that she can be more in this so-called man’s world, and she proves it time and again. Of course there is Dutch van der Linde, the patriarch of the group, as much charismatic as he is sociopathic. It’s refreshing to get so much more of him in this game than what we got in the previous title, and the writers did a great job of fleshing out what makes him so damn bad. 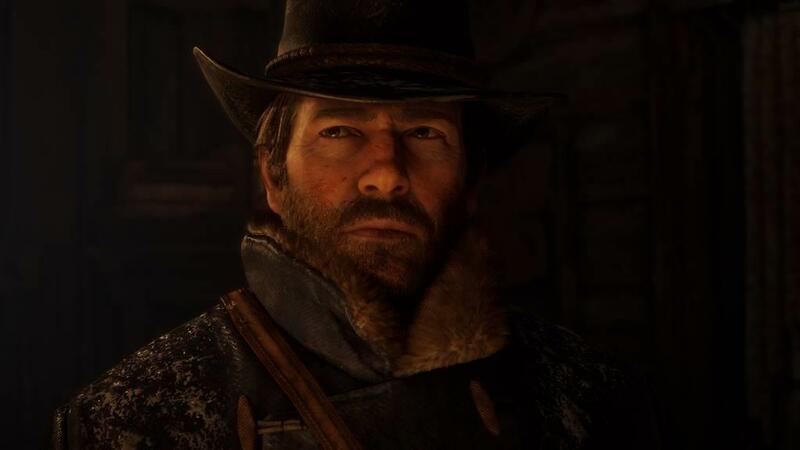 John Marston is also present, but thankfully Arthur’s story is prioritized over his. Layers was a word that kept popping into my head while playing through the title. 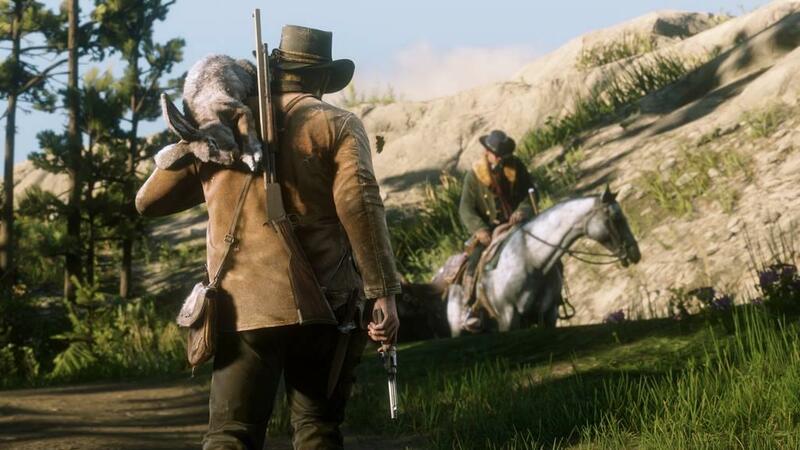 The complexities of everything: from the amount of clothes you wear to whether you keep your weapon maintained, or if you keep the camp stocked with supplies or if you do activities with your fellow outlaws. And to the game’s nature as a prequel. Put bluntly, this is how you do it. Some characters from the original also make an appearance here. Most if not all of the time it is for logical reasons, and not just fan service. They play their roles, but are put in the backseat, from a narrative perspective, for a sizable portion of the game. Either new or old fans can get comfortable with the way things play out, however. For myself, seeing Bill Williamson get denigrated for how much of an idiot he is, or listening to Javier Escuella as he tells a personal story at the campfire about his time in Mexico is at once tragic and touching. I know what will happen to these men in the game world’s future, but here I am, sitting with them like they are my brothers. But for a new player, it’ll be a funny thing to laugh at or an entertaining story. There are even some callbacks (or maybe you would call it call forwards?) to certain notable speeches in the original game that provide even more pondering context to older players. That’s the best part about this game: it has its own story to tell. It is not beholden to its older sibling. The only issues I have with the narrative are the way things or people change and behave. As I mentioned earlier, the story switches from plot-driven to character-and-plot-driven after some events, and although I understand the reasons for why certain characters change, the way in which they do so is just the teensiest bit clunky. 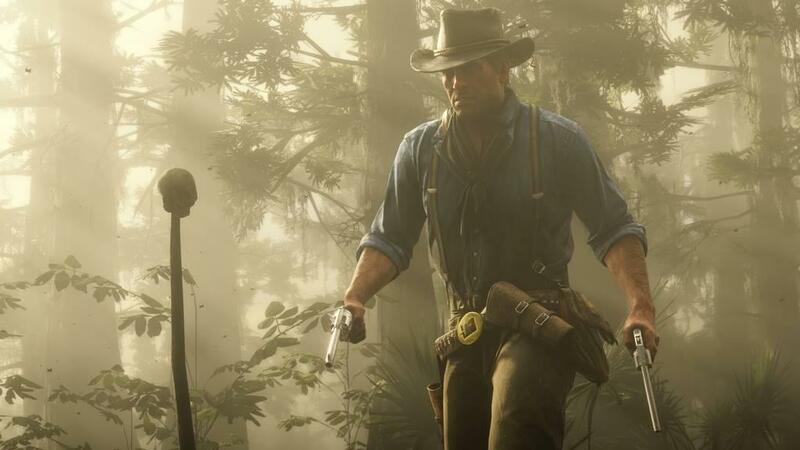 Arthur’s ethics depend on the player’s own decisions, and I find that that particular mode is the way to do it. But I still find myself wondering that if I did not complete this or that side mission or make a couple inconsistent decisions, would I still buy the change? I don’t know the answer to that hypothetical. But I do buy the story for all it’s worth. Like I said, some characters have more layers and drive than others, but they are all still very much convincing as people, and it makes the game all the more real. In addition to the complex narrative, there are myriad other elements that give the game its hefty weight. Activities such as gambling, hunting, random encounters, the mostly interesting Stranger side missions, shootouts, the options of keeping a reticle or doing away with the HUD, are what kept me in the zone for so much of the experience. Whereas Rockstar’s previous entry, Grand Theft Auto V, gave the player options like golf and tennis—neither of which, I feel, are real sports—here, you can do things that are actually interesting. Even though I don’t care to partake in gambling, the game’s one mandatory section of it still made it fun to play. Of particular help is the fact that the game will tell you what type of hand you have. I think I was playing poker. The general HUD is limited, with the minimap in the bottom left corner, and ammunition in the top right. I turned the minimap and reticle off, but with aim assist still on the gameplay wasn’t too difficult. In many of the shootouts, I would switch to first-person mode, which makes the game a completely different experience. Whereas the traditional third-person mode renders the game with cinematic, over-the-shoulder flare most reminiscent of The Witcher 3, first-person mode is its own beast, both taking inspiration from and eschewing its video game cousins. Arthur’s head is a swivel, not a box with affixed positioning. 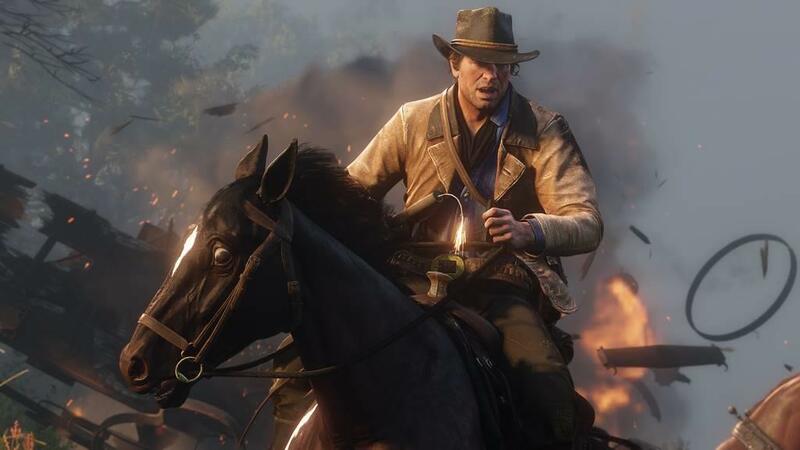 While going first-person on a horse or on foot gets a little bit hazy, when you are in the middle of a fight and switching from pistol to shotgun, going into and out of Dead Eye, shooting off limbs and executing your foes, it’s exhilarating. It’s almost like Rockstar took bits and pieces of what everyone else in the video game industry does, and then did it better. There’s so many elements to the game, I can’t go into complex detail about every single one of them. In addition to all the aforementioned activities, there are also subdivisions of those. Why hunt regular game when you can hunt a Legendary Animal and craft a unique outfit to strut around town? Want to go out and rob somebody but don’t want a piecemeal dividend? Then go out in search of a specific home to rob that a random traveler told you about when you dropped in on their camp. Not to mention gang hideouts, bonding with and growing your own personal horse’s stamina and health, and so many other things. 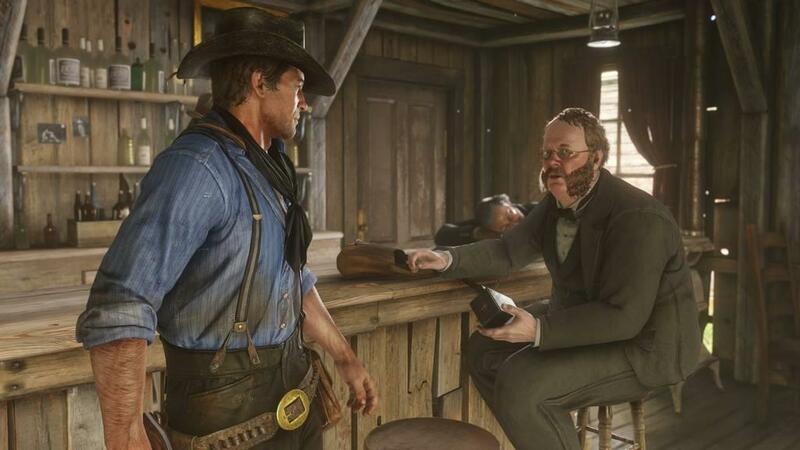 Red Dead Redemption 2 is a lot, and the development team, across all of Rockstar games, handled it well. It is a companion piece to the original, but it stands on its own and improves, on a technical level at least, on the first game’s mechanics. I appreciated the emotional context on various people from the original game and to see how they were before all that craziness. 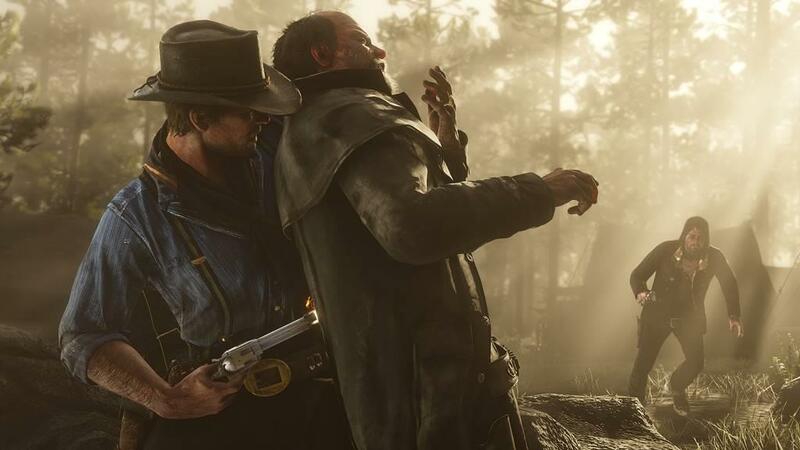 The difference here is that while Arthur’s and John’s emotional journeys are similar, they are certainly not the same. But that is a good thing. I don’t know how Red Dead Redemption 2 will hold up in this era of constant pop culture turnover, but if there is a standard for which gamers and game makers to strive for, then this is it. 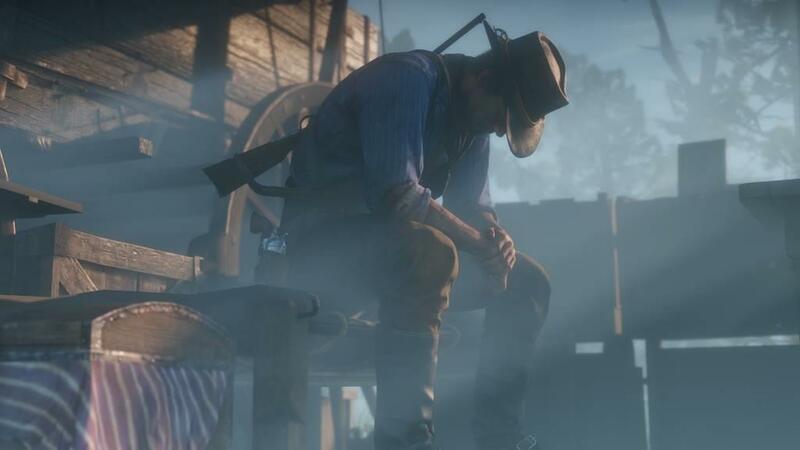 An astounding triumph that will certainly stand above the pack this season, Red Dead Redemption 2 is a unique game about unique people. The writing, visuals, and gameplay combine to make an absolute standout of a title, one that has been well worth the wait. I am Nicholas Leon. My nickname is Nick, and it all started when I fired up Super Mario 64. I then moved on to the Zelda series (I beat Wind Waker on my dad's old save file a couple years ago) and other Nintendo products. I then moved on to Microsoft products where I have played the majority of my games. I got into first-person shooters in middle school, and although my interest in them has subsided over time, there are still plenty of interesting titles in that area. My first foray into online gaming happened in high school with Battlefield 3. Now, I'm getting more into PC gaming, and I also just bought my first PS4. and own my very first Pokemon game in Moon. I love intelligent games. That doesn't mean they have to be smart, they just have to know what they are. Action, horror, RPGs, Wii Sports, you name it. I'm always down for new adventures.